We offer a reliable range of Shaper Machine, which is manufactured using superior grade raw material that is in accordance with the international quality standards. This range is stringently tested for quality, based on several parameters so as to bring out flawless products. 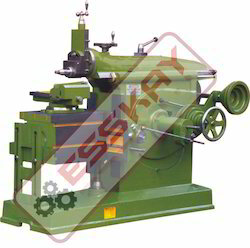 We are indulged in manufacturing premium quality Shaper Machine SERIES PSM in standard as well as customized forms. These Shaper are available in several capacities, sizes and functions to suit the needs and requirements of the customers. Further, we offer these at competitive prices in the market and ensure their conformation to the international quality standards. 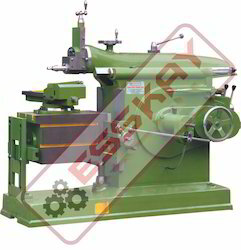 We are indulged in manufacturing precision quality All GearedShaper Machine SERIES EAS in standard as well as customized forms. These Shaper are available in several capacities, sizes and functions to suit the needs and requirements of the customers. Further, we offer these at competitive prices in the market and ensure their conformation to the international quality standards. 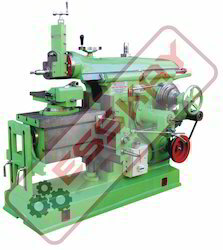 We are indulged in manufacturing premium quality Shaper Machine SERIES ES in standard as well as customized forms. These Shaper are available in several capacities, sizes and functions to suit the needs and requirements of the customers. Further, we offer these at competitive prices in the market and ensure their conformation to the international quality standards. Looking for Shaper Machine ?